– Find List of Top Removal Firms in London. List of Removals, storage & packing companies in London UK, the #1 site for removal services company listings in the UK. Best London Removals firms in the UK. More than 50 London’s best removals company address, phone number and web address. Find a list of recommended quality removal firms in London, UK. D. Sully & Son Limited. – South London based professional company for Home & Commercial Removals, Containerised Storage and packaging. One of the leading removal companies in North London. Family run company offers home removal, office removal, storage and packing service. Colney Hatch Ln, London N12 0SH, UK. Removals, Storage and Packaging Supplies. Fully insured home removals & storage across London. Local Clockwork branches : Aberdeen, Aviemore, Dundee Branch, Edinburgh Branch, Hampshire Branch, Glasgow Branch, Inverness Branch, North London Branch, South London Branch, Lincolnshire Branches, Oxford Branch, Paisley, Perth Branch, Sheffield Branch. Burke and Wills Removals London. Removal Company based in London South West. Provides residential removals, business moves, international removals and container and storage facilities. Reliable Removals, Man & Van Service, Secure Storage & Packing Materials. Worldwide services : New York, Los Angeles, Paris, Côte d’Azur (French Riviera). – Provides expert office removal, storage and crate hire services. 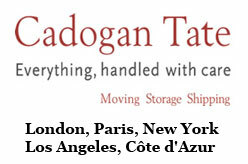 – Fine Art Packers and Shippers since 1973. Offices in London, New York, Paris and the south of France and agents around the globe. 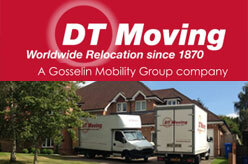 a leading house and business removals company, with a first class self-storage north London facility. Professional House and Flat Removals, Packing services, Overseas Moves and International Removals, Antiques Removals and Piano Removals in London. London NW10 6LG, United Kingdom. National and international removal company located in Rangemoor Industrial Area in London. Recommended London based removals and storage company. One of the leading experienced home and office removals companies in London. Address : Units 1 & 2, 106 Brent Terrace, London NW2 1BZ, United Kingdom. Address : Piano Movers based in west London since 1968. 6a, Langley Business Centre, Station Rd, Slough SL3 8DS, UK. Address : 139-141 Acton Lane, London NW10 7PB, United Kingdom. Address : Central Way, Park Royal London, NW10 7XW, United Kingdom. North London house removal company. Address : Nucleus 2, Central Way, Park Royal, London NW10 7XT, GB. Hours : Monday to Friday 8am – 6pm. Windsor Avenue, London SW19 2RR, UK. Bushell’s Removals & Storage Ltd. Address : 5, Mill Lane Trading Estate, Mill Ln, Croydon CR0 4AA, UK. Pickfords Park, Laxcon Close, Wembley, London NW10 0TG, United Kingdom. London NW10 office : Drury Way, London NW10 0JN, United Kingdom. 54 Queen Anne Street, London W1G 8HN, United Kingdom. Arnold & Self Removals for any domestic or commercial removals in London or Surrey. Covers Mitcham, Sutton, Wallington, Croydon, Surrey, Redhill, Reigate, Epsom, Leatherhead, Weybridge, London, Wimbledon, Fulham etc. Surrey and South London removals company. Services are home removals, house clearance, domestic storage, office removals in Croydon, Surrey and South East England. International removals and relocation services – London to Los Angeles, Chicago to Shanghai, Milan to Mexico City, or Paris to Tokyo. International removals, relocations and storage service. Offices in PARIS, LONDON, NICE and CASABLANCA. Address : 141 Acton Lane, London NW10 7PB, United Kingdom. South London removal company offering domestic and commercial removals and containerised storage services in Croydon, Surrey and South London areas and all parts of the UK, Europe and worldwide. Page last updated : 30 October, 2018.